Like many women reaching their mid-40's, Sarah went to university following two years of Open University study and thoroughly enjoyed her ecology degree at Lancaster University. The degree gave a broader and more scientific base to her amateur botanical skills, organic smallholding and love of the environment as well as a good many new friends, bird and bryophyte ID skills. Sarah become the project manager of the National Trust for Scotland's Upland Grazing Project in 1996. This took her to some of Scotland's iconic European protected mountain areas working on how to determine and manage grazing impacts on conservation areas. When this finished she worked for about a year in Scottish Natural Heritage's Aberdeen office initially contracted on the beginnings of site condition monitoring of SSSI's followed by maternity leave cover for an Area Officer post. By 2000 Sarah had moved to the Scottish Borders as an Area Officer to SNH again, with the full range of work – broad but shallow – as she dealt with all sorts of protected species work, planning assessments, looking after SSSIs, advice on agri-environment grants etc. Sarah’s botanical skills waxed and waned over the 13 years but also led her to being responsible for the SNH input into the Scottish Borders Biological Records Centre when it was with the local authority. Both the botanical recording and working with The Wildlife Information Centre continues in her retirement, along with various other engagements with natural heritage enthusiams. Wilma is an experienced director, having held senior positions in the Forestry Commission and now has a portfolio of board positions. 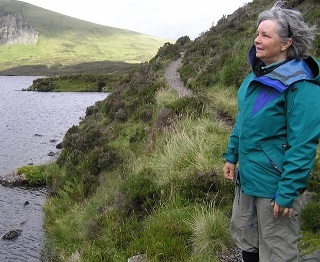 As well as being a Director of TWIC, she is a Trustee of the National Biodiversity Network (NBN) and President of the Edinburgh Natural History Society. 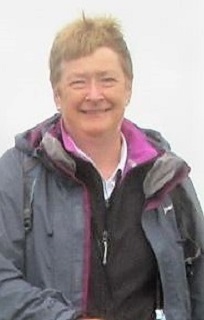 She is also a trustee for Scotland’s Finest Woods Awards and a board member of the Royal Scottish Forestry Society. Alongside this broad environmental background, she brings considerable experience of corporate governance, strategy and change management. She has led the development of major computer systems and is now helping a number of groups develop their websites and improve the use of social media. She has a particular focus on areas which support people improve their understanding and appreciation of their environment. She regularly leads excursions for the “Edinburgh Nats” and enjoys the exploring and discovery these field trips bring. Having become a runner 5 years ago, she has learned the value of being outdoors for improving health wellbeing and now leads a Jogscotland trail running group. Rob was elected as a TWIC Director in 2014. In addition to this, he is an Associate Professor of Ecology in the School of Applied Sciences, Edinburgh Napier University. He is currently the Head of the Life Sciences group within the School, which involves overseeing a group of nearly 50 academics. Rob has diverse research interests particularly focused on aquatic ecosystems from rivers and ponds to coastal areas. He undertakes work involving a combination of field- and laboratory-based research in addition to the use of geographical information systems and spatial analysis. 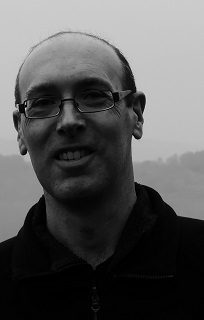 Prior to moving to Edinburgh in 2003, Rob was based in Aberystwyth studying dispersal of adult aquatic insects from upland streams, following on from gaining a PhD from the University of Sheffield. TWIC is a company limited by guarantee - registered in Scotland No. SC234339. A recognised Scottish Charity SC034113. 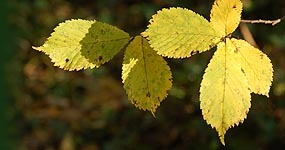 TWIC acknowledges financial support from Scottish Natural Heritage.